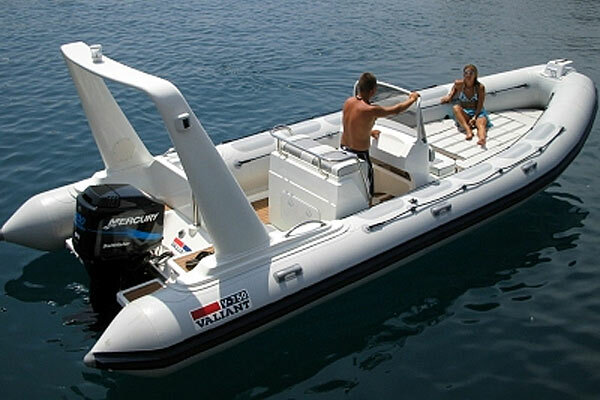 The supporting element of inflatable boats is the air that is pumped into the inflatable body. 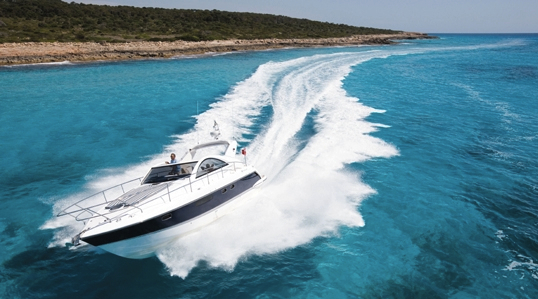 Top-of-the-range inflatables, or RIBs, have a solid fibreglass hull. 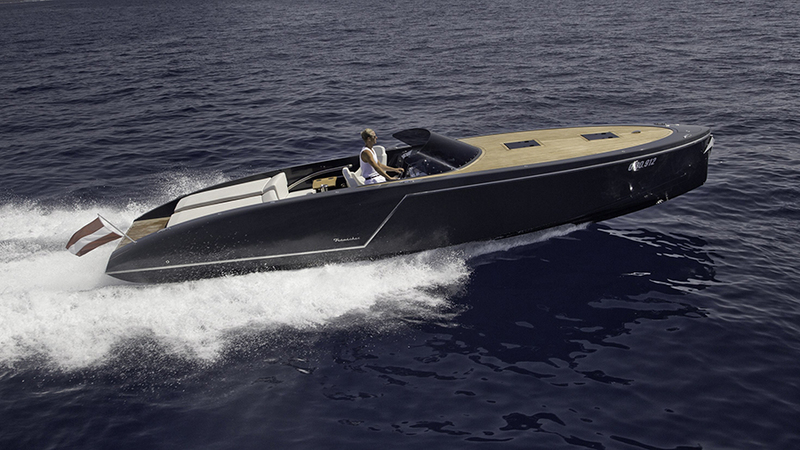 The 5.5 Concept with a console helm, 190 hp diesel engine and a jet drive is intended primarily as a super yacht tender. On the Ribline MV 650 the aft bench seat can easily be converted into a sun pad in just a few easy steps, while the Ribline 8.5 has a seating group and table at the aft. The Serket 87 from the English manufacturer Scorpion has a folding table for picnics out at sea, and with its shady bimini top, the RIB is especially popular in the Mediterranean. 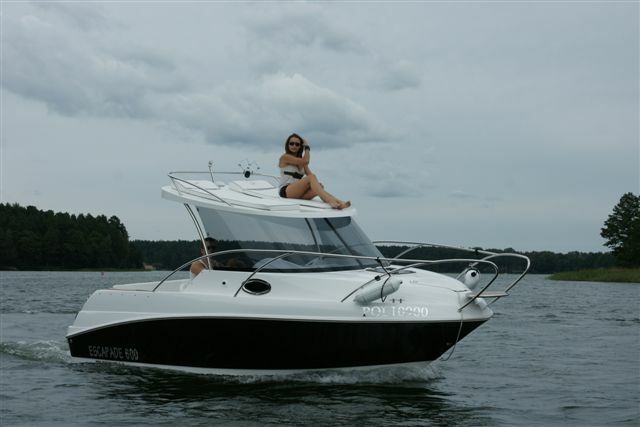 Small sports boats are especially popular with beginners and boats for nice weather. 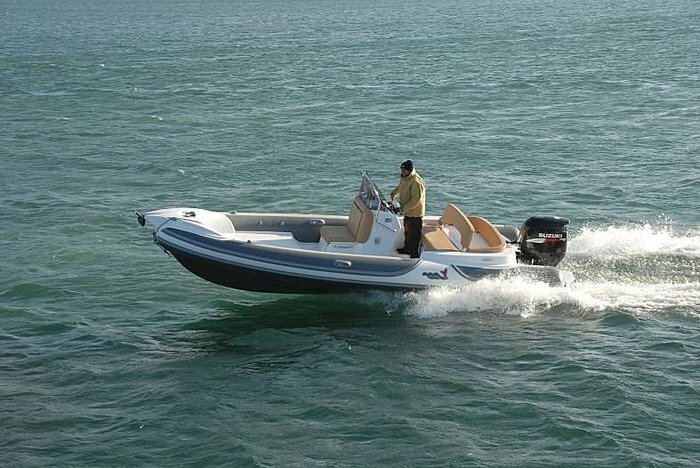 The Allison XB-21 Ultra Performance (6.45 m) from the USA, which provides space for 4, is fitted with a 225 hp outboard motor, giving it a top speed of 135 km/h. The Schaaf Crossover d’Or – with gilding on the steering wheel, clamps and hatch handles, is a limited edition yacht. The sun deck of the Pegazus Escapade 600 (5.98 m) from Poland, with its two comfy rest cushions, even offers a touch of flybridge comfort, while the sofa in the cabin can be converted into a double bed for the night. The Salpa 24’ GT (7.50 m) sleeps four – with space for two on the convertible sofa in the forecastle and two midships in a cabin below deck. 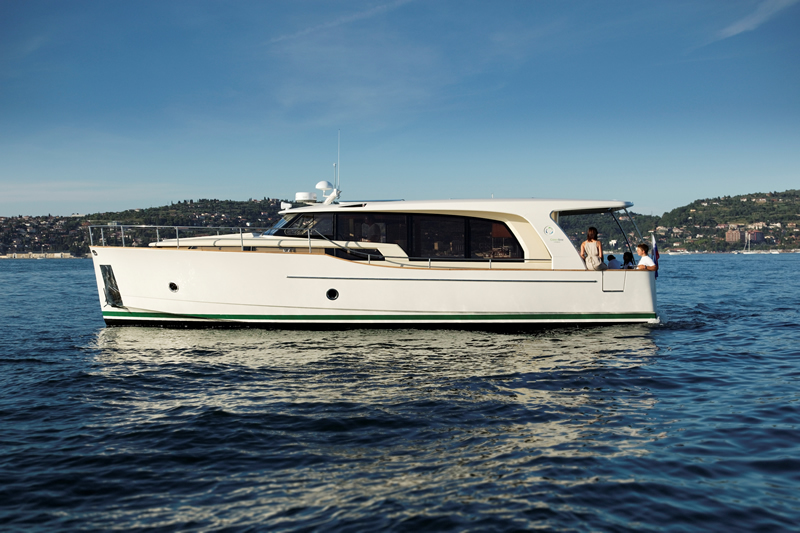 The modern, sweeping hardtop with a glass enclosure is a trademark of all new boats from the yard in Naples. As well as the console-like helm stand, the Starfisher 790 has sundecks on both sides, and broad steps that provide easy access to the sunbathing area on the foredeck, located above the cabin, which sleeps two (Hall/stand 5/E22). The Frauscher 1017 GT (10.17 m) rounds off the top end of the fleet from this Austrian yard. The underside of the hull was designed to minimise resistance while gliding through the water. Below decks you will find a saloon, pantry toilets and a shower. 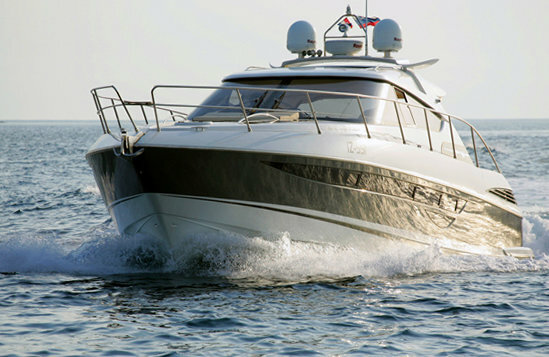 Sports cruisers have a large cockpit that can be covered with a cabriolet cover and a helm station outside for fine weather tours as well as a saloon and/or cabins at the bow. 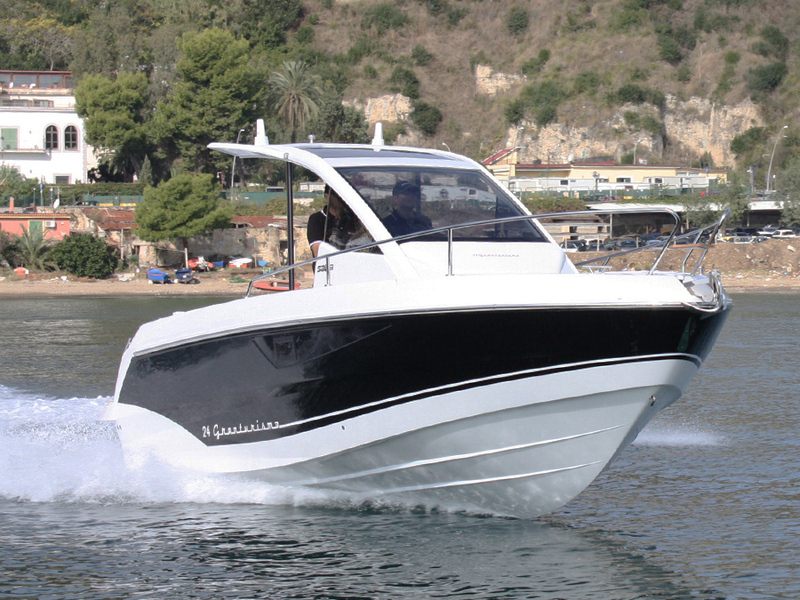 In Italy these boats are also known as “opens”, because the saloon can be opened thanks to a sliding roof. 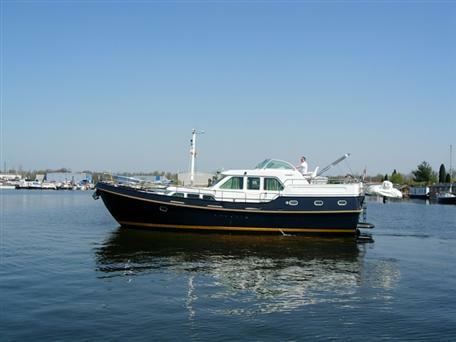 From its appearance, the Christo Mare 31’ (10.50 m), which has space for four, is reminiscent of a lobster boat. 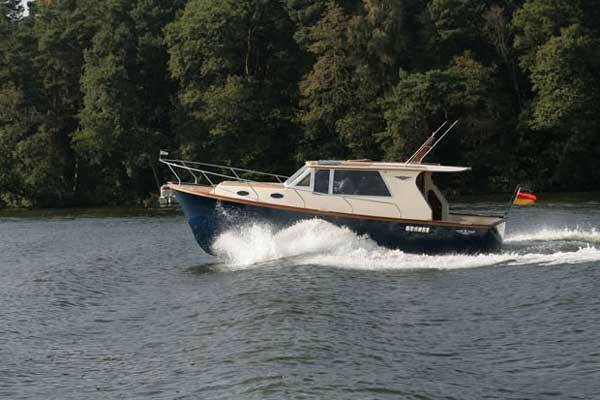 The Nimbus Nova 34’ (11.49 m) is a genuine open with its helm station and outdoor pantry in the cockpit. The table in the middle of the seating area can be lowered by servo-motor at the push of a button to make room for sunbathing, once the cushions have been put in place. Below decks it has two cabins which sleep four. 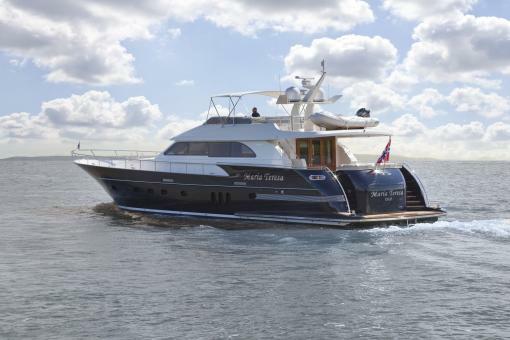 The Targa 38’ Gran Turismo from the Fairline yard in the UK has been awarded Green Star Plus environmental certification by the Italian classification society RINA. The Bavaria Sport 39’ from Giebelstadt in Franconia celebrates its world debut here. 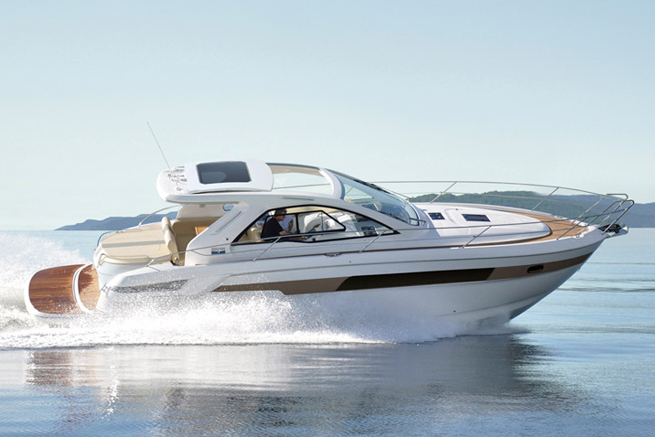 The elongated side windows and the elegant rear of this two cabin boat for four give it a sporty appearance. 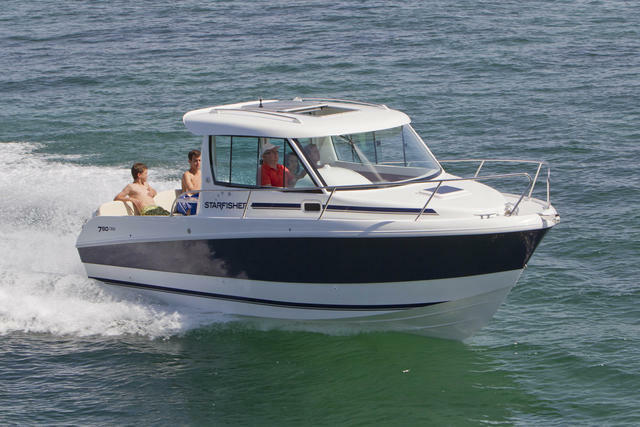 Depending on your preference and the battery charge level, the Greenline 40’ (approx. 12 m) from Slovenia can either be powered electrically or by a diesel engine. The batteries can be charged via photovoltaic cells using daylight or from a dock outlet. Its two cabins provide sleeping accommodation for four. 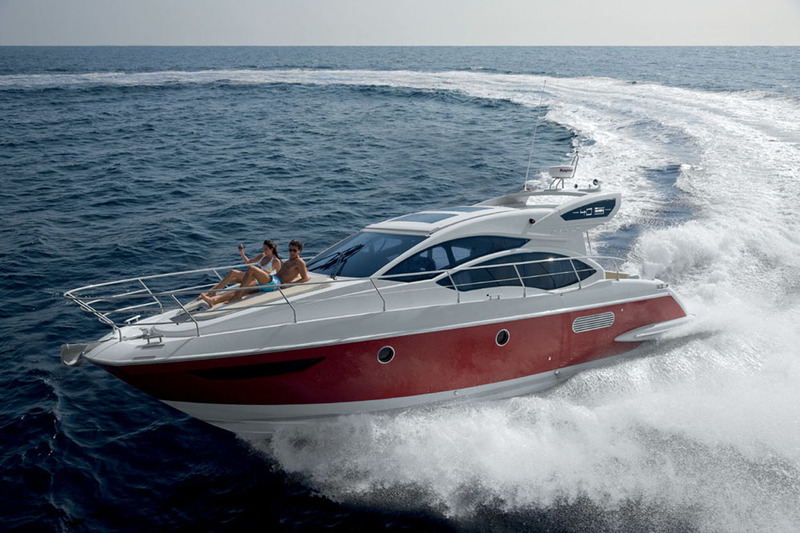 Azimut’s 40S (from Italy) retains the same livery and lines as the sporty S-Line, with a red hull and large hull windows consisting of several square panes in the master cabin. Solar panels recharge – or at least top up – the batteries, while the energy-saving LED lighting keeps the load on the batteries down. 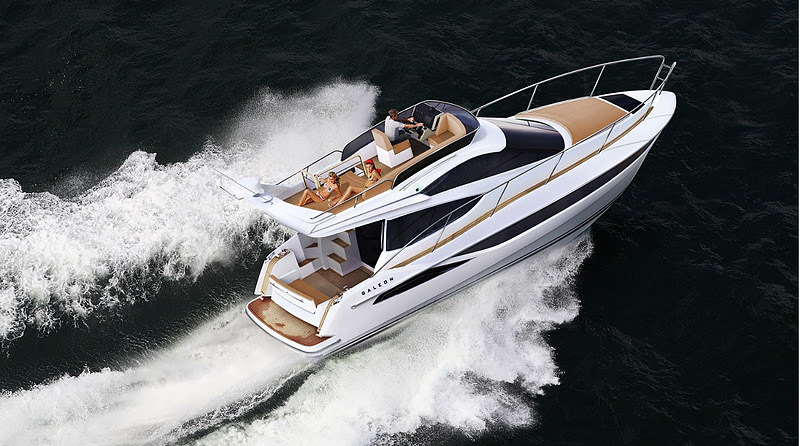 The Elan Power 48’ (14.63 m) cabin cruiser from Slovenia, designed by Tony Castro, has very sleek and modern lines and is very agile and nimble thanks to its twin 600 hp diesel engines with pod drives, which give it a top speed of 33 kn. This is the debut of the V78 (23.83 m) from the Princess yard (UK), a sporty motor yacht belonging to the V Series, which offers an outstanding combination of comfort and optimised performance thanks to its two 1,895 hp engines. 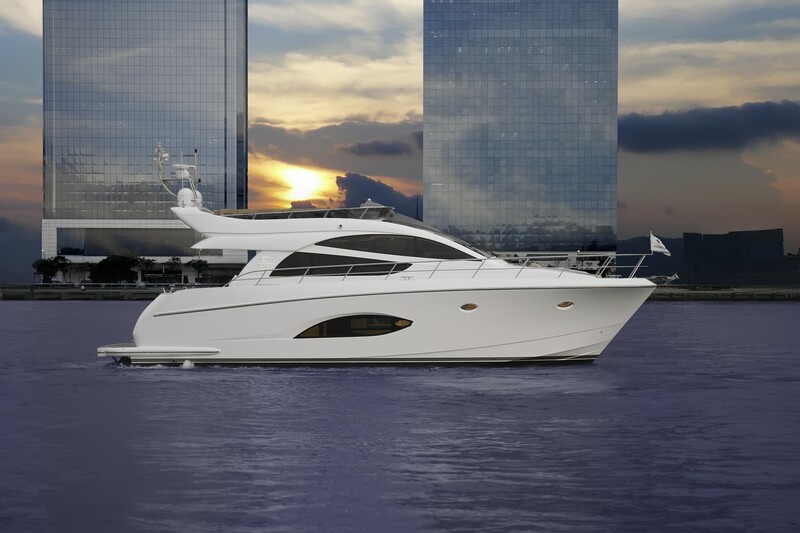 Flybridge yachts, with a second helm station and bench seating high up on the breezy saloon roof, have been popular for years. The 11.99 m Galeon 380 Fly (11.99 m) from Poland, which makes its world debut here, replaces the 390 and features the contemporary lines of the 420 Fly, which is also on show for the first time here in Düsseldorf. Walk-in closets in the master cabin are not normally found on motor yachts less than 20 m in length – but on the E 54’ (16.48 m) from the Horizon yard in Taiwan you’ll find one! J.C. Espinosa designed its sporty, elegant lines with large window fronts for a saloon bathed in sunlight. 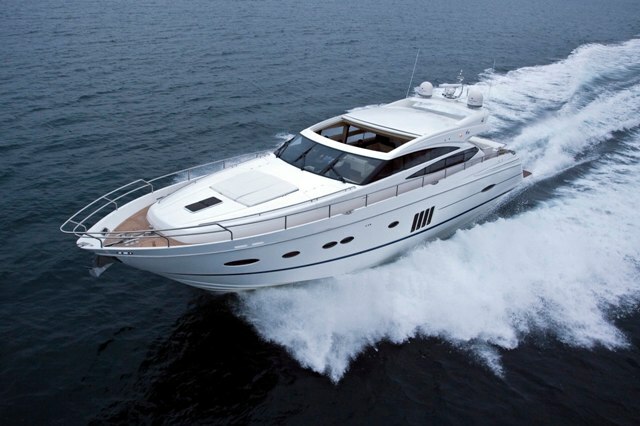 Sunseeker (UK) presents two German premiers at this year’s boot: the Manhattan 53’ (18.53 m) and the Manhattan 73’ (22.60 m). 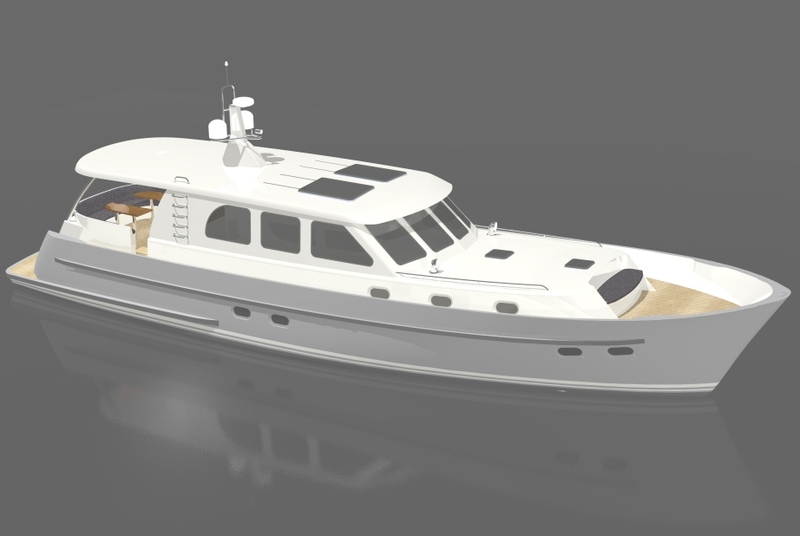 Both of these new yachts offer the following options, in addition to the generous number of standard features: Hydraulically extensible gangway, flybridge with teak cladding, bimini top, and an air conditioning system designed for tropical temperatures. 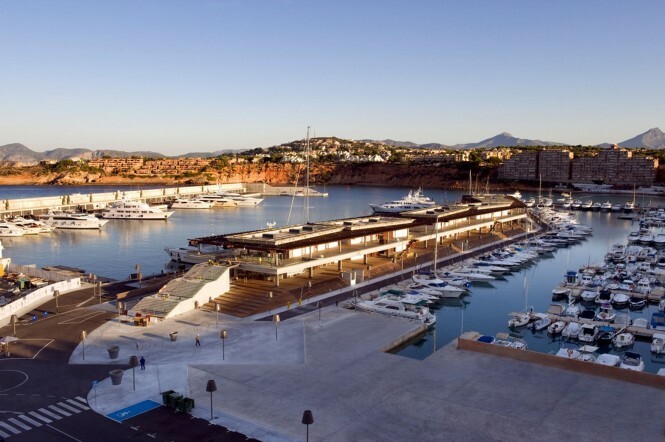 The 23.00 m Continental II Flybridge from Holland, which makes its world debut here, is propelled by three pod drives, giving it a top speed of 52 km/h. Six to eight people can enjoy every imaginable comfort and convenience of life on-board. Leisurely steel cruisers are a speciality of Dutch yards. 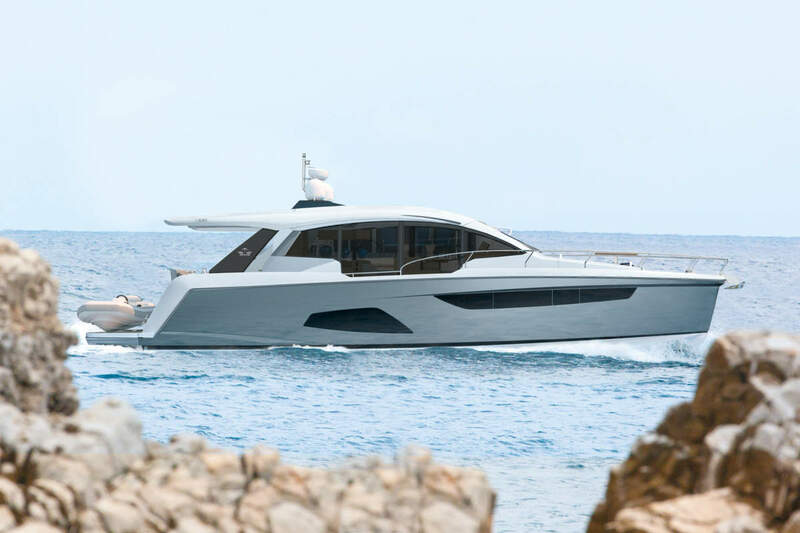 The German debut of the Jetten 38’ Cabrio (11.60 m) is designed primarily to accommodate two, although there is also sleeping space for two additional guests on board. The Succes GTS (12.50 m) was designed with smooth surfaces and materials to ensure easy care combined with high quality – such as Nappa leather for the wheel, natural wood for the floors, and granite for the work surfaces in the pantry. The typically Dutch Dinette dining area for four is located in the deck saloon, where it enjoys a magnificent view. 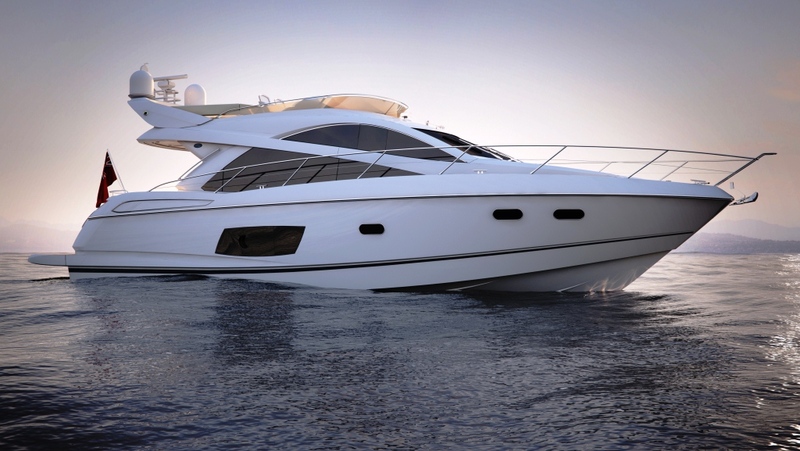 The Grand Sturdy 470 und 500 Variotop motor yachts by Linssen of the Netherlands have been redesigned, and now carry the suffix “Mark III” to designate the third generation, which features a completely new interior. 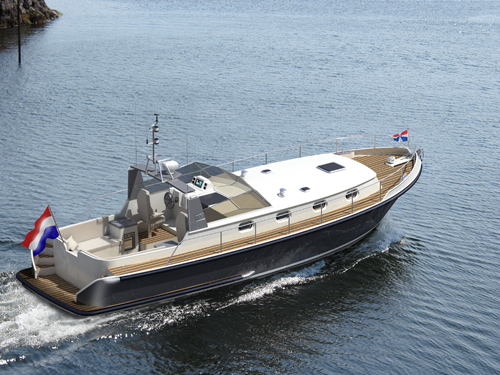 The Linden Kotter 20 m is a winner thanks to its step-free continuous deck that reaches all the way from the helm in the saloon to the aft cockpit, making it barrier-free on this level. Classical design and the retro look combined with state-of-the-art technology are growing in popularity. 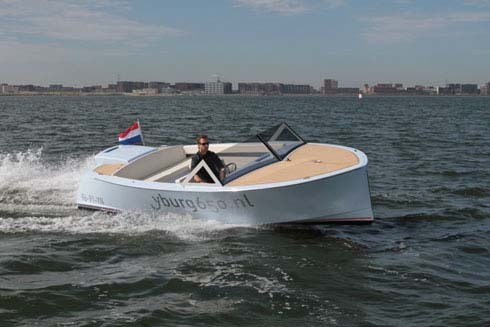 Inspired by classical sports boats, the Yburg 650 (6.50 m) from the Netherlands is in keeping with the trendy retro look although, thanks to the use of state-of-the-art materials, it is very light and quickly picks up gliding speed. 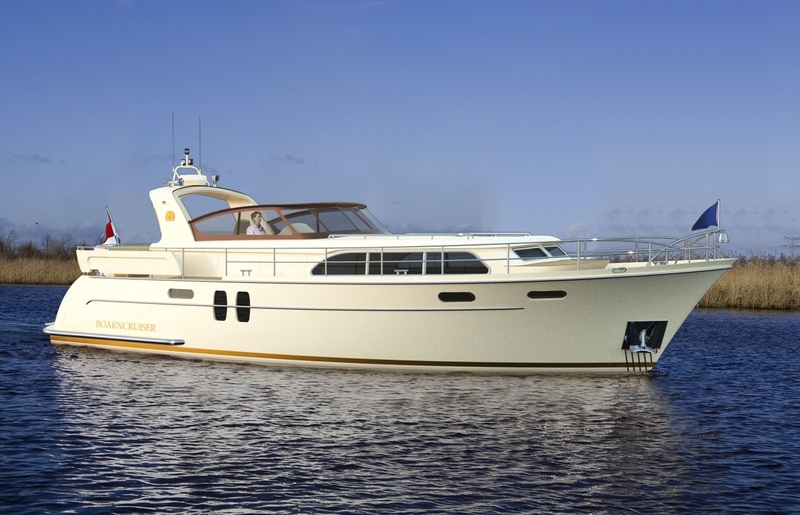 De Boarnstream from the Netherlands will be showcasing two new models from the Retro Line, the 42’ Aft Cabin and the 46’ Cabrio, which makes its German debut here. The interior design is luxurious and the layout convenient, featuring floor heating and double glazing as standard, for example.